Frank Tagarelli Periscope User Stats This is Frank Tagarellis periscope stats website page. This is Frank Tagarellis periscope stats website page. Frank Tagarelli created profile on 2019-01-23 Time 20:27:41 and last update profile time is . Frank Tagarelli total followers is 96 and Frank Tagarelli total following is 34 . Frank Tagarelli twitter nickname is frank_tagarelli. Frank Tagarelli is Old Skool BPM Mixing on the same 80's Technic 1200's.Play it all.We make Custom Lollipop DJ Ear Stick Phones ! .. Peep me on Facebook. you will be satisfied. let's get back to the classics with a quick mix. 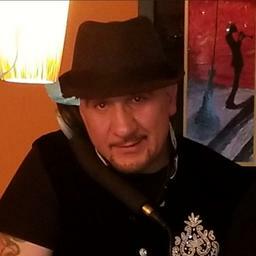 DJ Frankie Fedora F&VEE Studio. please enjoy and share. was supposed to be only a Classic dance mix smooth flow , however last 45 min. became a classic rap medley for my Childhood DJ partner Melle Mel. enjoy this pre recorded Wintery Classic Mix by DJ Frankie Fedora F&VEE Studio..Live Mix comin at you Tonight.